Mommy’s Mani Monday- Shiny and Matte Combo Nails | Polish Me, Please! Today’s topic was Matte and Shiny Combo Nails, so let’s see llem! 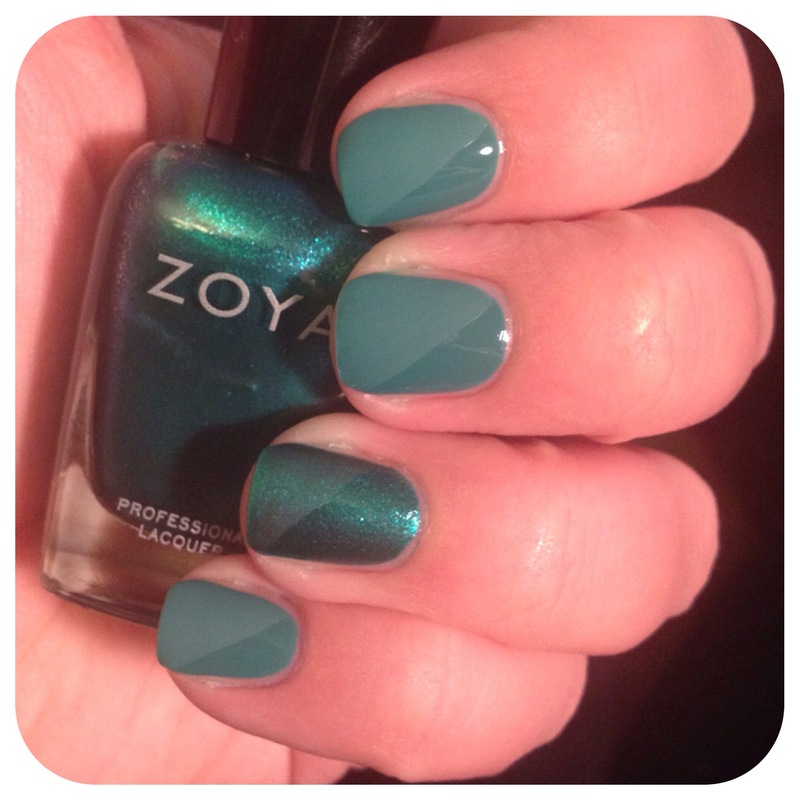 For these nails I used polishes from the Zoya Paradise Sun and Island Fun collections. The creme is Cecelia, and the shimmery metallic is Selene. These are both really pretty, if not all that unique, but let me tell you- Cecelia stains like you wouldn’t believe. When I removed my polish it got around my nail on my fingers and I had to use instant cuticle remover and soak my hands to even get it mostly off. Anyway, for the matte portions I just free-handed a diagonal line using Jessica No Shine Finish. I will be posting the collage of everyone’s Matte and Shiny nails later today on my Instagram account and Facebook, but until then, let me know what you think of these and how you like my little pioneer baby in the comments below. As always, thank you all for reading and commenting and fill next time- Happy Polishing!! I love the combo of matte and shiny nails in one mani! And your free-handed diagonal lines are on pooooint. How friggin cute!!!!! Is she????? OMG! I think Cecila is my favorite out of that collection, so of course it’s a stainer, lol. I think Isa is my favorite from the other half. Just found your blog while searching for top coat reviews! And I’m so happy that I have your apparent favorite – Sally H Mega-Shine! I haven’t tried it yet, but I’m getting ready to….on top of a beautiful Opi matte color: Liquid Sand Solitaire. I LOVE the color, but don’t really want it to be matte. I don’t really know if this will work – putting a shiny top coat over a matte polish. Have you done this? 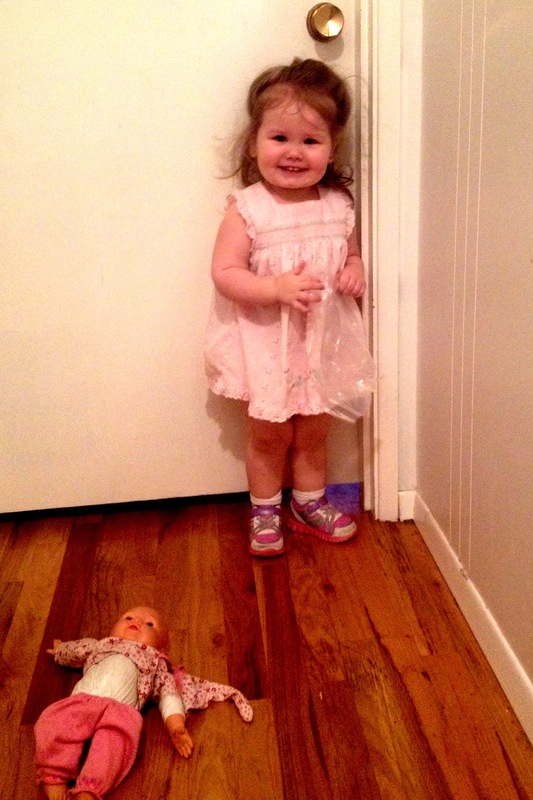 Anywho, your little girl is absolutely precious, in the cutest little ornery looking way! 😉 That personality is like my 4 yr old munchkin, Eva and I love it! I also love your combo nails in this post. I love the look, and love the color selection. And you do a beautiful, very professional looking polish job! So pretty! I’m sooooo glad I found your blog!